Here is a selection of latest work we have completed. If you have any enquiries please don’t hesitate to contact us. 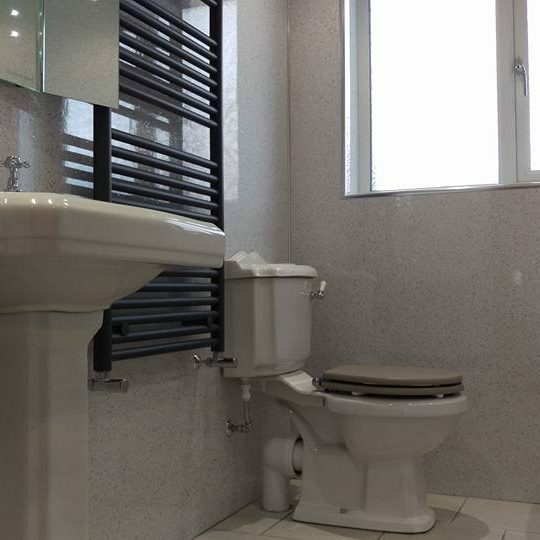 High end bath room and downstairs cloak room completed in Rhuddlan North Wales. Bringing tired looking bathroom areas into a lovely modern space. 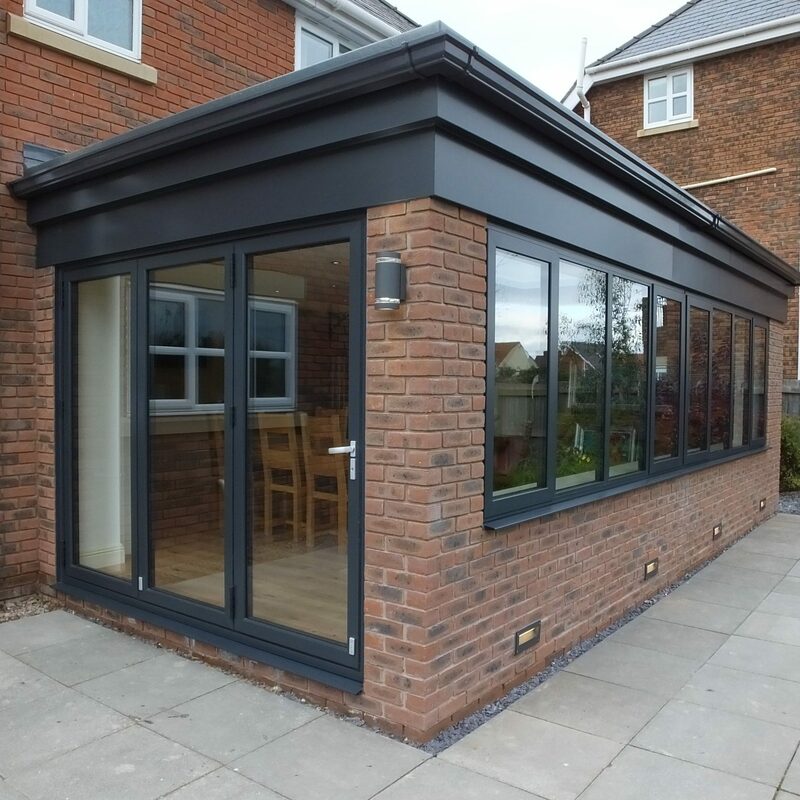 Single story extension on the rear of a Bungalow in Boddlwyddan North Wales. 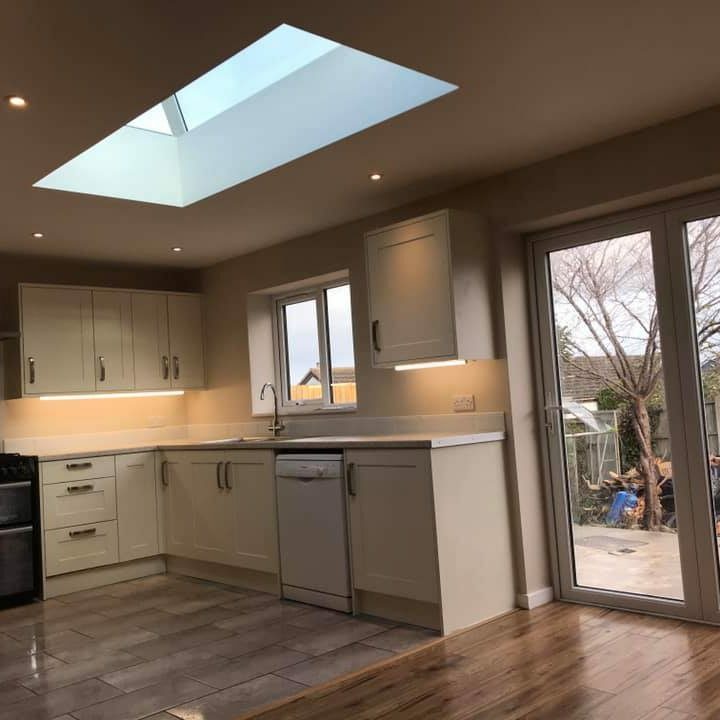 Bi-folding doors a new open plan kitchen, living area and a lantern roof light made this cramped bungalow into a modern living space. Built on a solid timber structure. 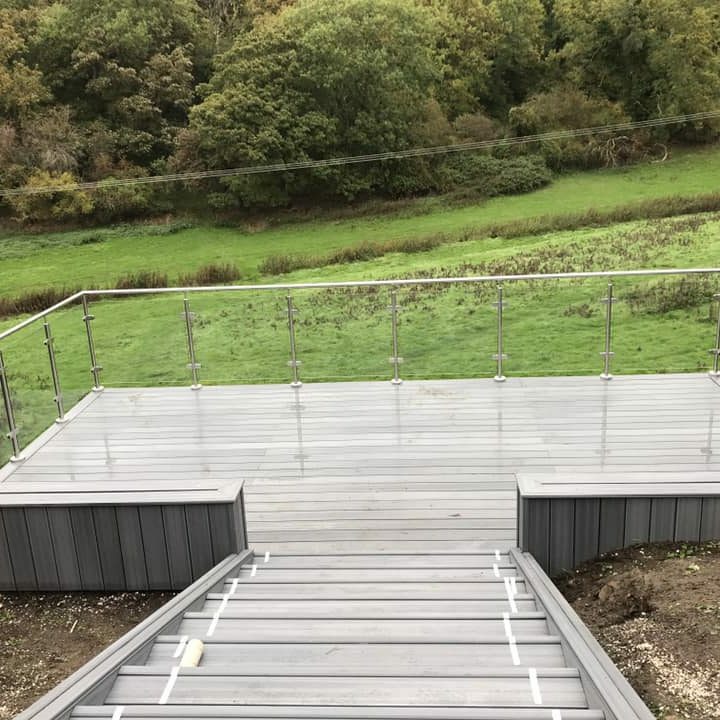 Stainless steel handrails with glass infills complement this modern usable space. 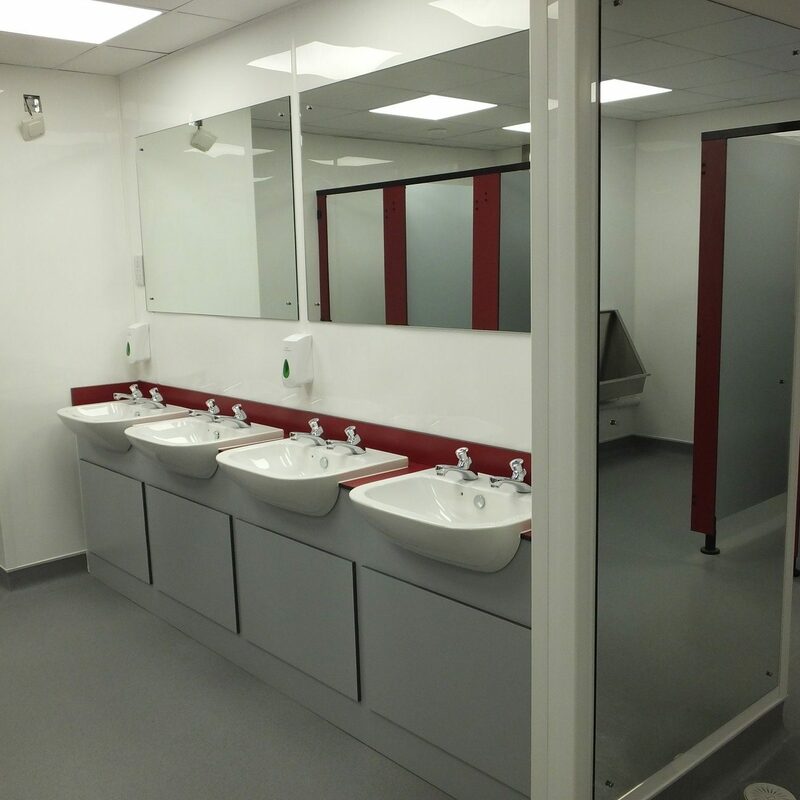 Full commercial washrooms, Laundry and disabled room refit in Abersoch, Gwynedd, North Wales. Full removal of the rear house wall including Large structural steels and supports to give a massive open space, The highest quality materials used throughout as usual, Warm-core thermal break, Aluminium Bifold doors, Windows, and sky light all installed in Rhuddlan North Wales. 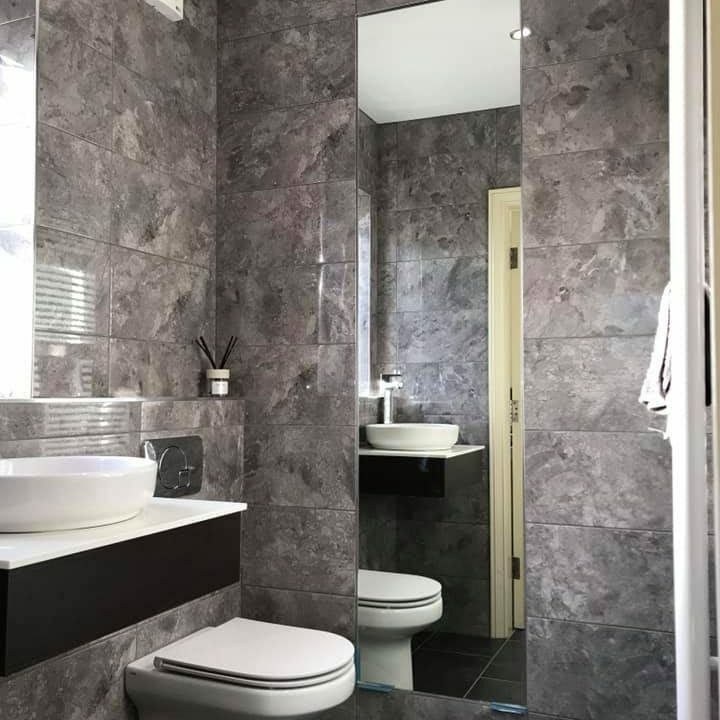 Here we were tasked with installing a complete new bathroom including underfloor heating, here are a collection of our images showing varies stages of the bathroom installation from start to finish. 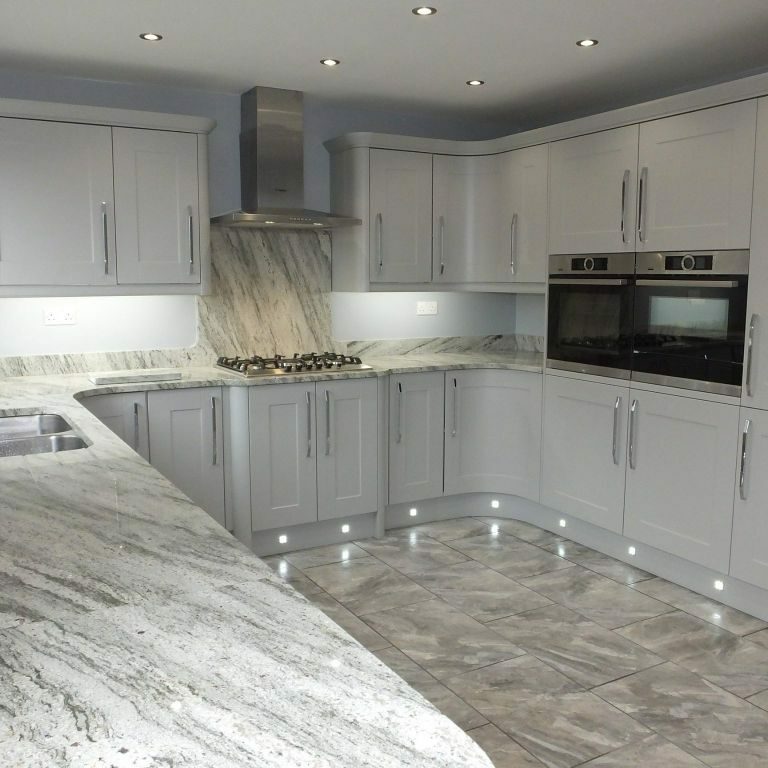 As part of a full house refurbishment we were tasked with installing a complete new kitchen, here are a collection of our images showing varies stages of the kitchen installation. 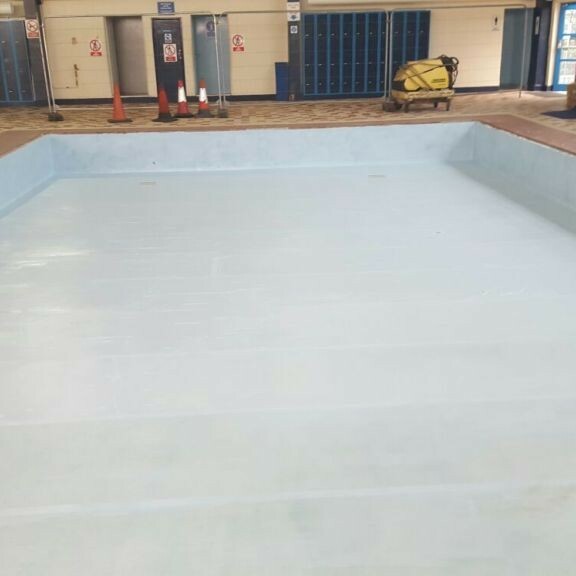 Here in Prestatyn North Wales we completely removed a fibreglass lining from a swimming pool which consisted of 4 layers of fibreglass. The swimming pool was then high pressure washed to remove all paint and loose material over 3 days. 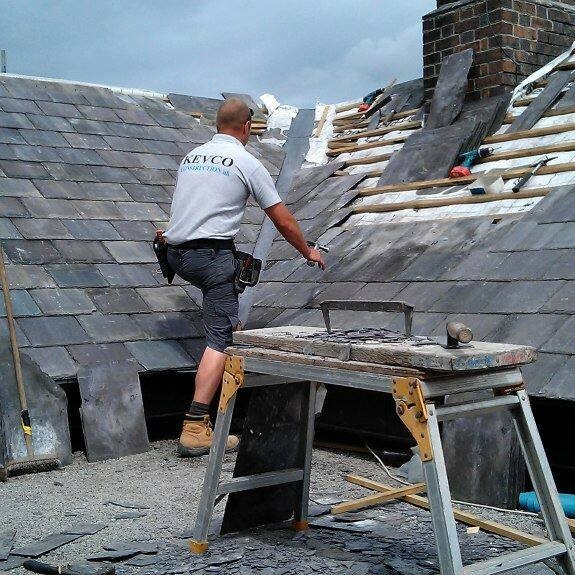 Here are images of a full refurbishment of a 150 year old slate roof including extensive timber replacement, complex fibreglass box gutters having to be rebuilt, as well as new valleys and Velux windows being installed. 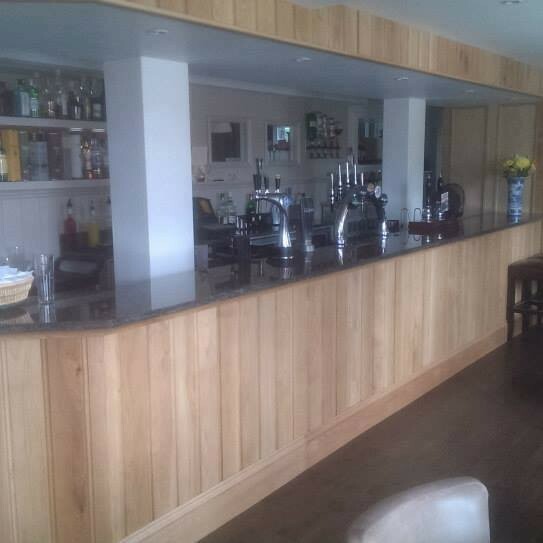 Here we completed a full renovation of the Bod Erw Restaurant & Bar in St Asaph, North Wales after it was devastated by the floods.